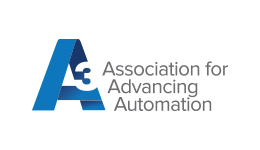 The Association for Advancing Automation (A3) is the global advocate for the benefits of automating. A3 promotes automation technologies and ideas that transform business today. A3 is the umbrella group for Robotic Industries Association (RIA), AIA – Advancing Vision + Imaging, and Motion Control & Motor Association (MCMA); together representing over 1,000 companies that drive automation forward.